Motorsports Village • View topic - Track Champion. Hey guys I havn't been here much this summer, i've been really busy. Just thought i would post the results of my hard work this summer. I raced in a Pro 400 tree class this year with huge success at my local track in Gimli Manitoba. 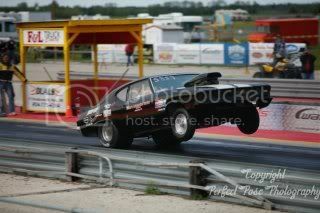 INTERLAKE DRAGWAY. It was a tight battle for the championship that came down to the last weekend. I was two rounds behind going into the weekend with third place right behind me by one round. Saterday i took out third place first round and first place second round and won the event. 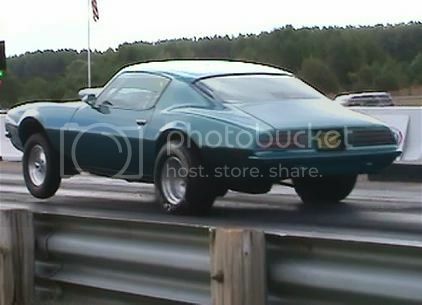 Sunday the first place car was broken, all i had to do was go one round for the championship. I won the round and made it to the final. The pressure was off and the 2012 Pro 400 Track Championship is mine. Post subject: Re: Track Champion. Awesome!!!! Congrats on the championship!!! That should make the winner section!! Congratulations, that'll get your heart pumping! Congrates!! I know it's not easy to do now a days. Say, what carb are you running now as I know at one time you had an SV on that engine?? Thanks guys. Its a Pro Systems alky 1050 Dominator that i tweeked for M-5. Thats a really cool win. It can be stressfull fore sure when its that close. I actually got lucky first round saterday. I was so nervous i didn't get on the trans brake fast enough before i hit the gas and the car moved out and put out the top bulb. We are allowed to deep stage so it didn't go red. I left with an .01 light The other guy (3rd place) got freaked and red lit. I apologized to him for doing it and he understood. It could have been me that red lit that round and it would have been all over for me. That's a good weekend racing. Congrats.